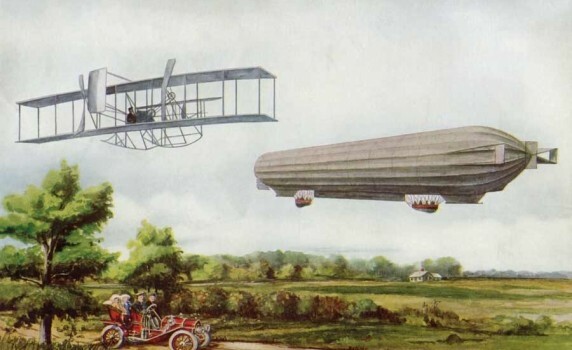 Here is a wonderful 1912 illustration of a Wright brothers plane and an old fashioned flying zeppelin. Here’s a gorgeous black and white drawing of an early 1900’s hot air balloon. Vintage Industrial Steampunk Clock Drawing – With a Free *Vector* Download! Here’s a highly detailed Industrial Revolution clock image as a scalable vector PDF.